Dear Customer: ACS is currently running at reduced services due to low staffing. Services that are not Health/Life/Safety may be waitlisted, but we will get back to all customers as quickly as possible. We apologize for the inconvenience. ESL materials are available at Army Libraries around Europe. A catalog of all books, audiotapes, and videos can be found here. For additional ESL assistance please contact your ACS. This Sponsorship Program is designed to help service members, civilian employees and family members plan their move from a duty station somewhere else in the world to their new duty station in Europe. Below are several links that can assist you during each step of your move. For more information on the above services and programs please feel free to give us a call! The Installation Relocation Assistance Plan is another tool full of resources to help with your move into or out of our community. Thursday 8 a.m. - 11:30 a.m.
Friday 12:30 p.m. - 5 p.m.
Pre- and Post-Deployment Support: Help prepare Soldiers and Families for Deployments and Reintegration by providing trainings and resources throughout the Deployment Cycle in a variety of settings. Family Readiness Groups: Designed to make sure Families have information you need and develop a military support group while your Soldier is deployed. Virtual Family Readiness Groups also provide secure environments in which the commander can communicate directly with Soldiers and Families 24 hours a day no matter where you are. Readiness Essentials for Army Leaders (REAL).The Family Readiness Group is a resource with knowledge of programs and services available to assist in preparing Soldiers and Family members for military life. It is critical that every Soldier and Family Member are well-informed and well-prepared. Family Readiness is defined as Families who are prepared and equipped with the skills and tools to successfully meet the challenges of the military lifestyle. Family Readiness Group (FRG) volunteers are an integral part of the planning and preparation that goes into making FRGs successful. Taking Care of Business: This video shares information that helps deploying Soldiers make necessary arrangements to ensure that loved ones will be taken care of if the worst happens. It explains which forms and documents to complete before deploying to ensure final wishes are observed. PDHealth.mil: A post-deployment resource to help ensure the highest-quality healthcare for those who make sacrifices in the world’s most hazardous workplaces. For more information and assistance, please contact the program manager at your garrison location. Want to Learn about Army Life and How to Contribute More to the Community? Look no further! AFTB and AFAP are here for you! AFTB is a series of training modules taught through your local Army Community Service or Family Program’s office that cover topics such as basic information about the Army, personal growth skills and leadership skills. AFTB improves personal and Family preparedness which enhances overall Army readiness and helps America’s Army adapt to a changing world. In addition to learning through the AFTB program, the Army Family Action Plan is your platform to voice your quality-of-life issues, ideas, or suggestions and contribute to help better your community. It’s the best way to let Army leadership know about what works, what doesn’t, and how you think problems can be resolved. We give Active and Reserve Component Soldiers, Army Civilians, Retirees, Survivors, and Family members a primary tool to help identify issues and concerns and shape your standards of living. Army Family Action Plan (AFAP) is a year-round process that begins at the installation or unit level. It is the preeminent means for commanders at all levels to learn of and seek solutions to the concerns of their communities. The Army is the only Service with a program like AFAP. The AFAP process begins at the installation or community level. Each Installation conducts an annual AFAP forum. Members of the global Army family identify, develop and set priorities for issues. The delegates to the AFAP conference consist of Program Managers, Volunteers, DA civilians, Retirees, Active and Reserve Component soldiers and Family Members. Many of the identified issues are specific to the installation and can be resolved at that level. Issues are assigned to the office that has responsibility for resolving the issue. The installation Executive Management Group reviews the issues and monitors them until they are resolved. Issues beyond the scope of an installation commander that require a higher level of authority go forward to the MACOM or to HQDA. 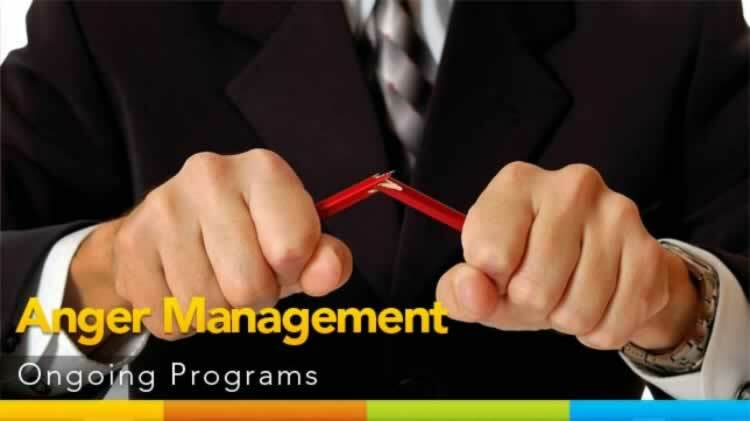 Highlight: "Family Programs & Services"
In the drop-down menu, click: "AFAP Issue Management System"
Submit your issue in "USAG Kaiserslautern" regardless of your military community. Be a part of the solution and work together to address concerns that affect quality of life in your garrison and the Army as a whole. Volunteer to become a delegate and be a part of making our community a better place for tomorrow. Small actions can speak loudly! Come be a part of the solution! In Need of Financial Assistance or Advice? ACS also has Financial Counselors available for advice, guidance, and support. In times of emotional distress, figuring out what to do about finances can create a heavy burden. Survivor Outreach Services Financial Counselors provide professional financial information and services in areas such as investing, estate planning, tax issues and basic budgeting. Our Financial Counselors will be there when you need them, for as long as you need them. They are committed to assisting you in creating your financial security and ensuring you receives the necessary information to make sound financial decisions. Pre-screening and counseling for Soldiers who qualify for the FSSA entitlement. FSSA is an entitlement authorized by Congress in 2001 and created to supplement the Soldier's Basic Allowance for Subsistence (BAS). This entitlement will not exceed $1100 per month. The application for FSSA is web-based and can be found at: https://www.dmdc.osd.mil/fssa/. To apply for AER assistance, the Soldier should be seen by the Unit Commander/1SG for interview/counseling to determine if the situation can be resolved through the chain-of-command or some other source. After determining that the Soldier has a valid emergency, the unit commander would then authorize the individual to seek AER assistance. Soldiers should create an online account with AER to apply for assistance. AER partners with other military aid societies to enable local assistance for service members from the Air Force, Navy, Marine Corps, and Coast Guard. AER’s Education Program is a secondary mission to help Army Families with the costs of education. AER gives spouses and dependent children of Army Soldiers great opportunities for their first undergraduate degree (some scholarships can reach $4,000 annually)! Application information can be found online at www.aerhq.org. Contact the Army Emergency Relief Program Manager. Applicant must be the Spouse or widow(er) of an active duty or retired Soldier and reside in the United States. Stateside applicants must be full time students. Active duty military personnel are not eligible. Applicants must be a Spouse of an active duty Soldier assigned in Europe, Korea, Japan, or Okinawa. Applicants must physically reside with the Soldier at the assigned location. Off post students are not eligible. Spouses may be part time or full time students. 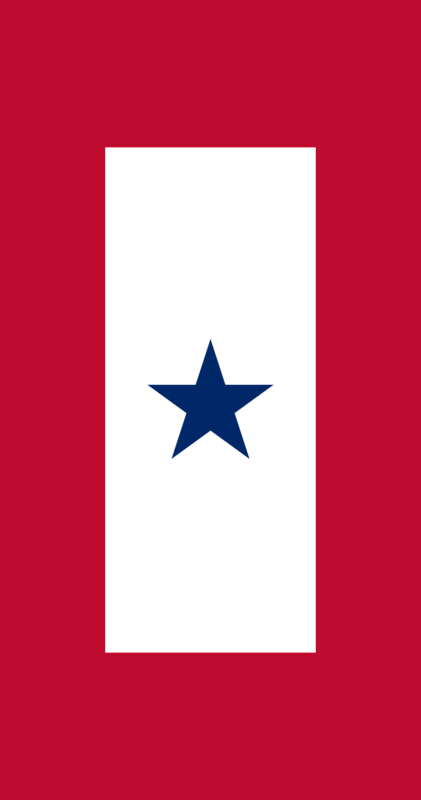 Dependent children, stepchildren, or legally adopted children of Army Soldiers on active duty, retired or deceased while in active duty or retired status. Army Community Service (ACS) offers a variety of trainings and opportunities to become a Unit Representative for the Annual Army Emergency Relief (AER) Campaign. Participants can learn the history, purpose and overall information for the AER Campaign. This course focuses on the responsibilities of being a Unit Representative for the Annual AER Campaign. Gain the knowledge you need to help those in need! Have you been a victim of unfair or deceptive business practices in our local area? Have you tried to resolve the issue but met with negative results? If so, you should consider filing a consumer complaint through the ACS Financial Readiness Program office. Consumer Complaint (pdf) can be submitted through the ACS Financial Readiness Program office at DSN 493-4151 or Civilian 0631-3406-4151. Our office works closely with the 86th Services and our JAG office to try and help you solve your issues. It is recommended to check all three credit reports at least once a year to ensure there are no errors keeping consumers from getting bad credit or best available terms on a loan. It is highly recommended for consumers to also check their personal report prior to making a major purchase that involves a loan like a house or a car. This process will also protect government issued security clearances. An annual free credit report can be accessed from www.annualcreditreport.com. It is also a good idea to review personal credit information regularly to guard against identity theft. Identity theft occurs when someone uses your personal or financial information to commit fraud. For example, an identity thief may use your information to open a new credit card account in your name. When they do not pay the bills, the delinquent account is reported on your credit report, damaging your ability to get credit in the future and subjecting you to calls from bill collectors. For more information, visit the Federal Trade Commission's http://www.ftc.gov. The Army Volunteer Corps plays a crucial role in community involvement and development. Volunteers make a meaningful difference in the lives of Soldiers and their Families every day. 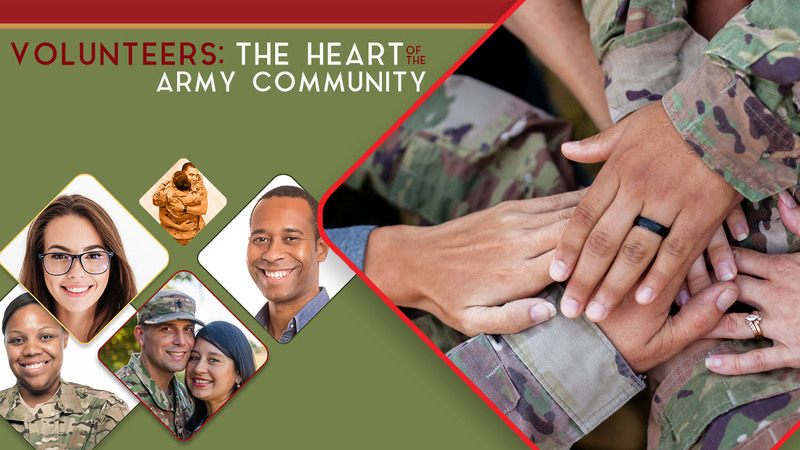 Army Volunteer Corps is designed to help you find local volunteering opportunities with organizations that benefit the Army community and allows you to obtain ongoing training and advancement. 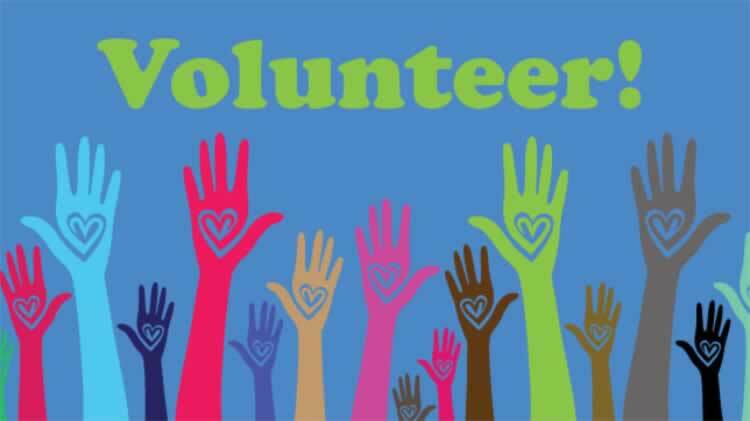 For more information regarding employment, volunteering, or training opportunities please contact your ACS location! Find Volunteer Opportunities in your community through Army OneSource. FAP-E professionals strive to create command and community awareness of the unique challenges associated with living in Europe, provide information on existing services to eliminate child abuse and domestic violence, and to develop specific educational programs at no cost to active duty. Our services include seminars, workshops, and individualized intervention. FAP-E is dedicated to helping Soldiers and Families address the unique challenges of military life, living overseas and understanding how unmanaged stress can lead to child abuse and domestic violence. Services focus on prevention, education, prompt reporting, investigation, intervention, and treatment. If you need help, please call your garrison’s Family Advocacy Program for more information. 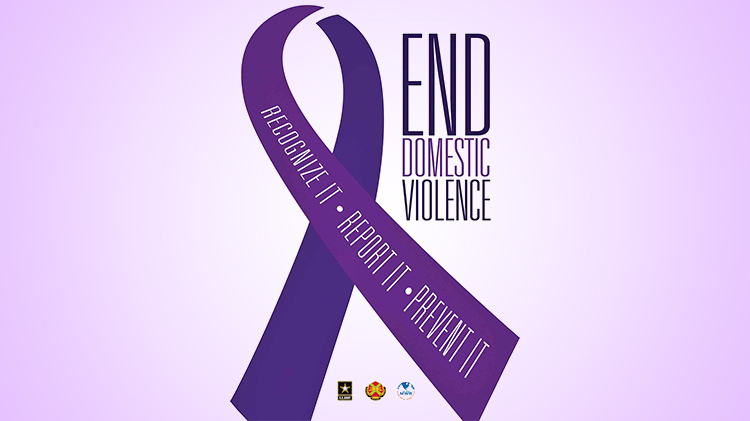 The Domestic Abuse Victim Advocate (DAVA) provides comprehensive support services to adult victims of domestic abuse including: crisis intervention, safety planning, help obtaining medical treatment for injuries, information on legal rights and proceedings, referral to military and civilian shelters, and other resources. DAVA’s provide information so clients can make informed choices in reporting an assault and how they choose to proceed. DAVA’s are available to accompany adult clients to medical visits, court proceedings, and other appointments as requested. DAVA’s provide services 24 hours-a-day, 7 days-a-week. 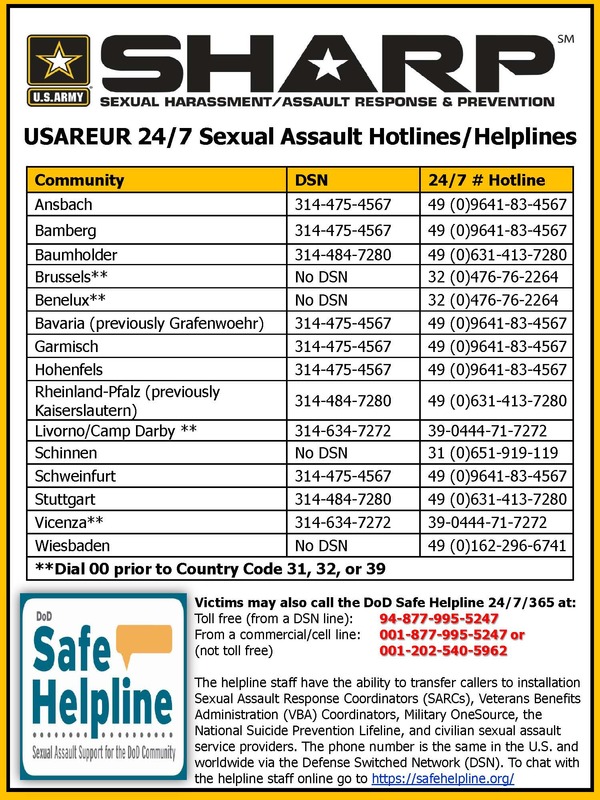 Victims are not alone, help and support are available. The New Parent Support Program is a voluntary program that assists military Families who are pregnant or have children birth through age three years understand the process of delivering a baby overseas and adapt to parenthood in healthy and resilient ways. The primary focus of NPSP is providing individualized home visitation services in the parent and child’s natural learning environment however services can occur in an office, hospital or community setting. Classes and groups are available which provide information on pregnancy, nutrition, parenting newborns and toddlers, problem solving and coping, discipline issues, social isolation, and military stressors. Services are available outside normal duties hours so working parents can participate. Each NPSP Home Visitor has a Masters degree in Social Work or a Bachelor of Science in Nursing degree and is Licensed to practice Clinical Social Work, Marriage and Family Therapy, or Nursing in a US state. For assistance or information on any of these Family Advocacy Program – Europe services, call your garrison Army Community Service (ACS) Family Advocacy Program. You can also call Military OneSource for more information and referrals. Call collect with operator assistance OCONUS: 484-530-5908. Emergency Placement Care (EPC) is a program dedicated to ensuring the safety and well-being of children who may be victims of child abuse and/or neglect. For more info about the program and how to become an EPC provider: Emergency Placement Care. The Family Advocacy Program is dedicated to the prevention, education, prompt reporting, investigation, intervention and treatment of spouse and child abuse. The program provides a variety of services to soldiers and families to enhance their relationship skills and improve their quality of life. This mission is accomplished through a variety of groups, seminars, workshops and counseling and intervention services. The Family Advocacy Program: Victim Advocacy Services Program provides comprehensive assistance and support to victims of domestic abuse and sexual assault, including crisis intervention, safety planning, and assistance in securing medical treatment for injuries, information on legal rights and proceedings, and referral to military and civilian shelters and other resources available to victims. 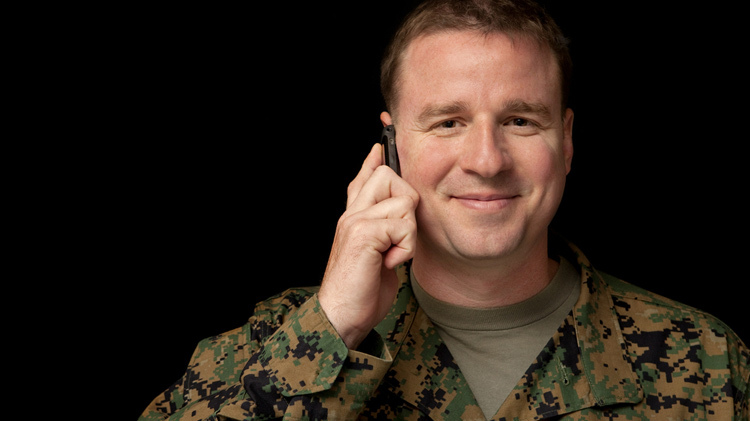 Victim Advocacy services are available 24 hours a day 7 days a week to Soldiers and Family members. Violence is the intentional injury and/or pattern of intentional acts that affect the psychological and physical well being, safety and security of an intimate partner. Domestic abuse essentially involves the misuse of power and exercise of control by one person over another with whom there is or has been an intimate relationship. Physical Abuse: Occurs when one person uses physical pain or threat of physical force to intimidate another person. Actual physical abuse may involve simple slaps or pushes, or it may involve a full physical beating to include punching, kicking, hair pulling, scratching, spitting on, threatening with a weapon and real physical damage sufficient in some cases which require hospitalization. Psychological Abuse: Also known as emotional abuse, occurs when one person controls information available to another person so as to manipulate that person’s sense of reality; what is acceptable and what is not acceptable. Psychological abuse often contains strong emotionally manipulative content designed to force the victim to comply with the abuser’s wishes. It may be emotional abuse in this sense when it is designed to cause emotional pain to victims or to “mess with their heads” in attempts to gain compliance and counter any resistance. Financial Abuse: Can take on many forms, from denying you all access to funds, to making you solely responsible for all finances while handling money irresponsibly him/herself. Money becomes a tool by which the abuser can further control the victim, ensuring financial dependence on the abuser, or shifting the responsibility of keeping a roof over the family’s head onto the victim while simultaneously denying your ability to do so or obstructing you. Restricted:Restricted reporting allows a victim of intimate partner violence the option of reporting an incident of violence to the victim advocate, family advocacy program manager or social work services case manager and receive victim advocacy services and medical care without starting a law enforcement investigation or having command involvement. It is intended to give victims the care and support they need and the extra time to make more informed decision regarding reporting to command or law enforcement. A victim has the right to change a restricted report to unrestricted at any time within one year from the initial restricted report. Unrestricted: Unrestricted reporting involves a victim making a report to the service members command, Family Advocacy program or Law enforcement. The incident will be fully investigated and the victim will have access to victim advocacy services and FAP clinical services. What can you do to ensure safety? Provides awareness and prevention, training and education, victim advocacy, response, reporting and follow-up for sexual harassment/assault issues. Army policy promotes sensitive care, advocacy, treatment, reporting options for victims of sexual harassment/assault and accountability for those who commit these crimes. Military Families with a special needs Family member, also known as an Exceptional Family Member (EFM), often require additional help in meeting the EFM’s needs. 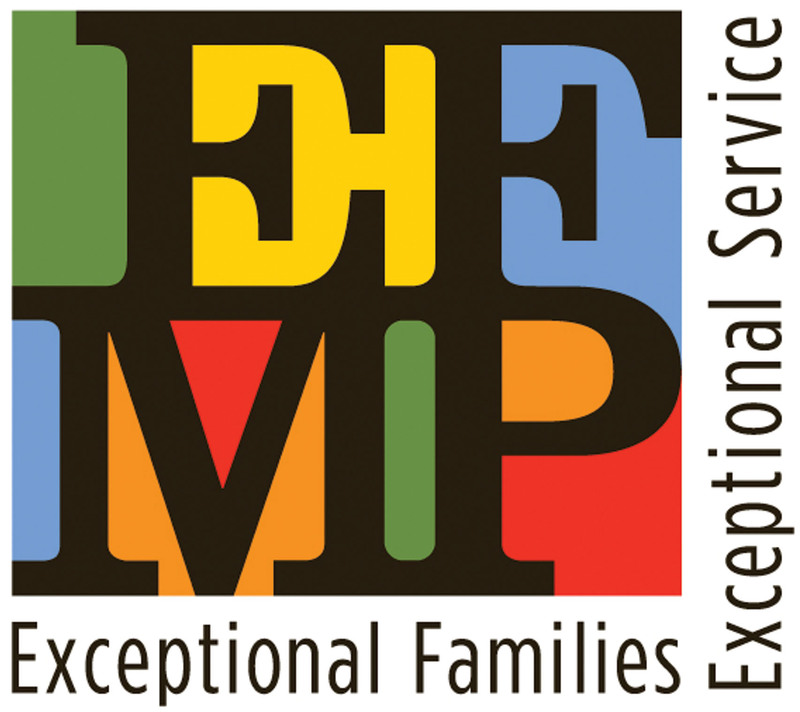 The Army designed the EFMP to be a comprehensive, coordinated, multi-agency program that provides community support, housing, medical, educational, and personnel services to military Families with an EFM. 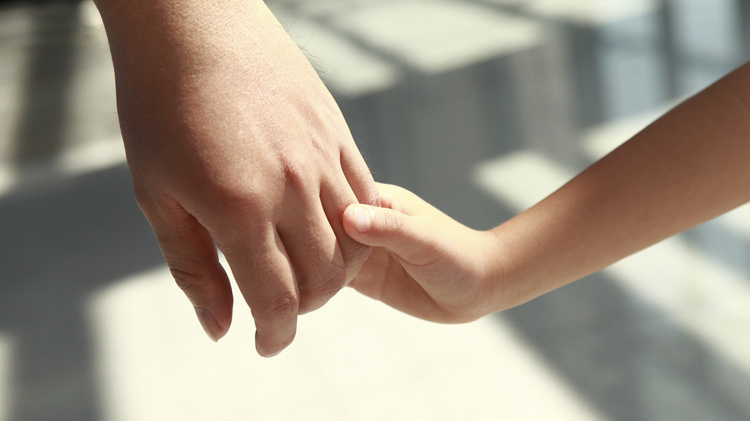 Use these resources, tools, and articles to learn more about EFMP and the families it serves. The Special Needs Accommodation Process or now known as the Multi-disciplinary Inclusion Action Team (SNAP/MIAT) is a team established to ensure the most appropriate placement of children with special needs. The team meets to review any new applications for Child, Youth and School Services (CYSS) programs that indicate any possible special needs, review the needs of children already placed in the CYSS program and determine if those needs can be met. 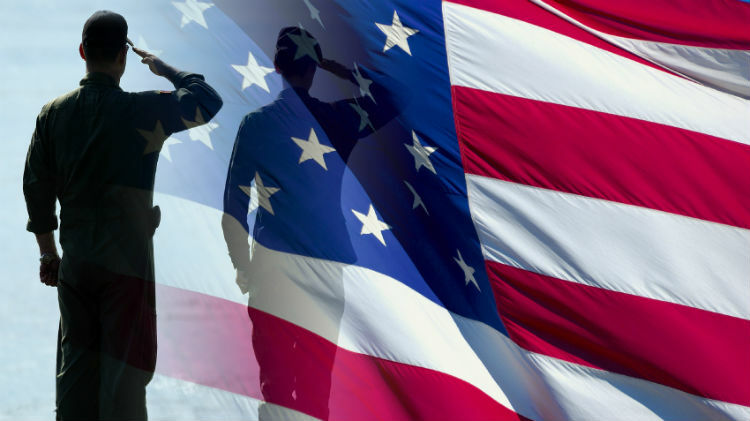 Military Members are mandated to enroll in EFMP for most of these conditions and if they are not enrolled, the EFMP Manager will contact the Service Member and suggest that an enrollment screening into EFMP be initiated. Basically anything that would requires special attention from a caretaker. It can be illnesses and conditions such as allergies, asthma, attention deficit disorder/attention deficit hyperactivity disorder, diabetes, autism, epilepsy, down’s syndrome, seizure disorder as well as physical challenges, learning disability, sensory impairment (hearing/vision), developmental delays, speech/language impairment, food allergies/intolerances and many more. The team is comprised of the Exceptional Family Member Program Manager, the Army Public Health Nurse, CYSS Coordinator/CYSS Program Directors, Parent Outreach Coordinator and the Parents/Sponsors/Caregivers. Other appropriate Experts may be able to attend as augmenters if needed/requested. At the meeting the child’s needs are discussed to see if accommodations are necessary and if there are any activity restrictions. Also addressed at the meeting will be the expectations of the service to be provided by the CYSS staff, as well as educational and developmental intervention program information regarding developmental evaluations, and programs and services offered by CYSS. The goal is to ensure that the child has the very best experience at CYSS and that staff are trained to provide the care that a particular child needs. If your child presents a special need that is new to the staff, they will receive specialized training before your child is entrusted to their care. This training will be in addition to their periodic training that addresses special needs topics that all School Age Care staff receive. For Active Army and Active Guard and Reserve Families who are responsible for regular care of persons with disabilities, the Exceptional Family Members Program Respite Care Program provides a temporary rest period. Care may be provided in the Family’s home or other settings such as special needs camps and enrichment programs. The Army EFMP put respite care in place to give eligible Families, especially now with multiple deployments, the opportunity to receive respite care when it’s needed. Families apply for the Respite Care Program at the nearest installation Army Community Service (ACS) EFMP Office. Eligibility for Respite Care Program is based on EFMP enrollment and the medical or educational condition of the Family member requiring care. Qualifying Families are eligible to receive up to 40 hours of funded EFMP respite care monthly for each certified Family member. Respite care decreases Family stress, increases Family stability and reduces costly out-of-home placements, thereby contributing to Soldier readiness. Due to increase in mobilization and deployments because of Global War on Terrorism, remaining parent/sponsor has sole responsibility for all Family support needs. OCONUS, Respite care services can be requested and reviewed by contacting your local ACS EFMP office. The team is comprised of the Exceptional Family Member Program Manager, the Army Public Health Nurse, CYSS Coordinator/CYSS Program Directors, Parent Outreach Coordinator and the Parents/Sponsors/Caregivers. Other appropriate Experts may be able to attend as augmenters if needed/requested. The Warrior Transition Battalion Europe provides command and control for four Warrior Transition Units serving a 750,000 square mile area. A “triad” consisting of a primary care manager, a nurse case manager, and a squad leader focus on helping each Soldier heal during the Medical Evaluation Board process and return to active duty or assist them return with dignity to civilian life. They provide Mission Command and administrative support to Soldier’s requiring complex care; co-ordinate and synchronize care, treatment, and services through the Triad of Care multidisciplinary team. Soldier and Family Assistance Center services will be tailored and responsive to the needs of the WTU and their Families. Most services will be present in the SFAC location in order to maximize the convenience to the WTs and their Families. Other services requiring less than a full-time presence will be brought forward to the SFAC at designated times. Still other services will be provided through priority off-site appointments coordinated by the SFAC staff. SFAC sites will provide a warm, relaxed environment where Soldiers and their Families can gather to foster physical, spiritual and mental healing. Contact your local SFAC Representative for more information! 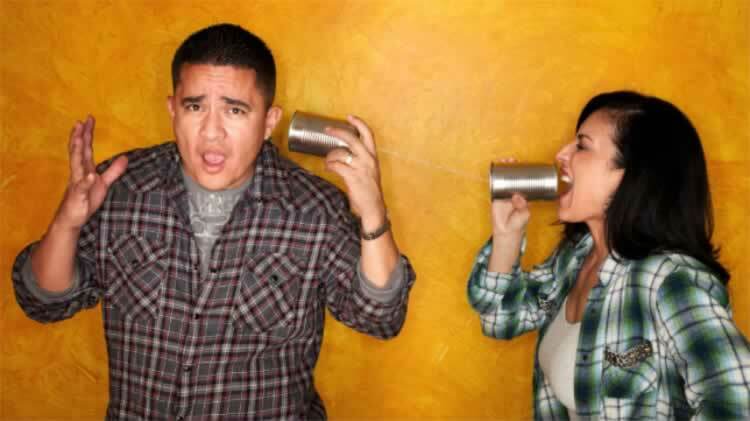 Financial Counselors. In times of emotional distress, figuring out what to do about finances can create a heavy burden. 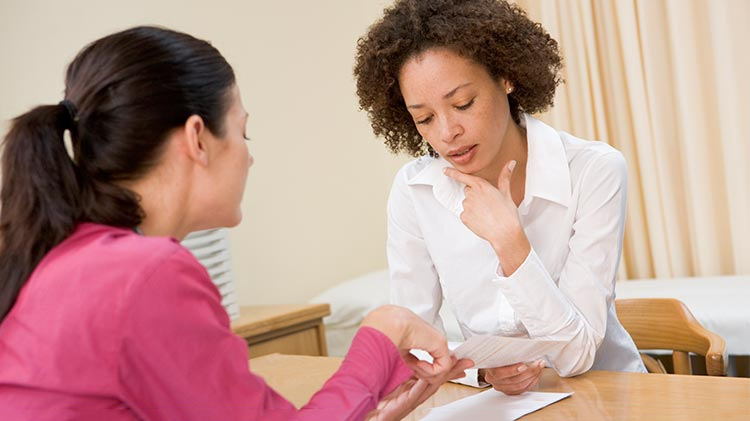 Survivor Outreach Services Financial Counselors provide professional financial information and services in areas such as investing, estate planning, tax issues and basic budgeting. 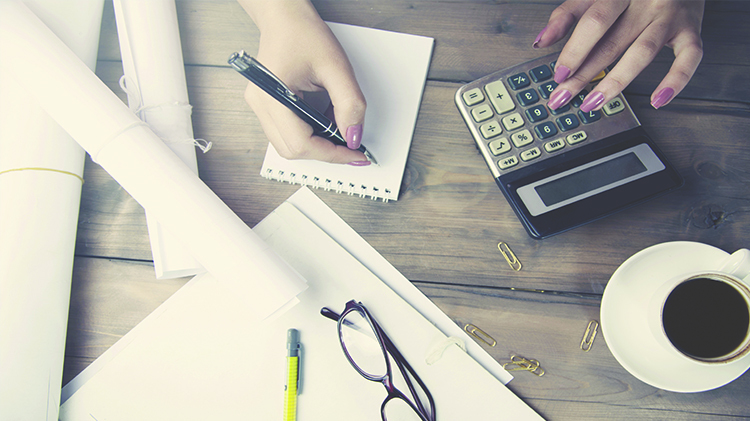 Our Financial Counselors will be there when you need them, for as long as you need them. 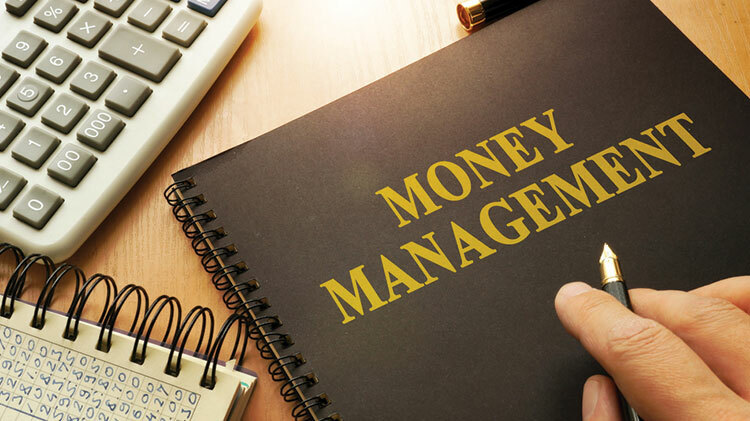 They are committed to assisting you in creating your financial security and ensuring you receives the necessary information to make sound financial decisions. For more information contact your local SOS Support Liaison! 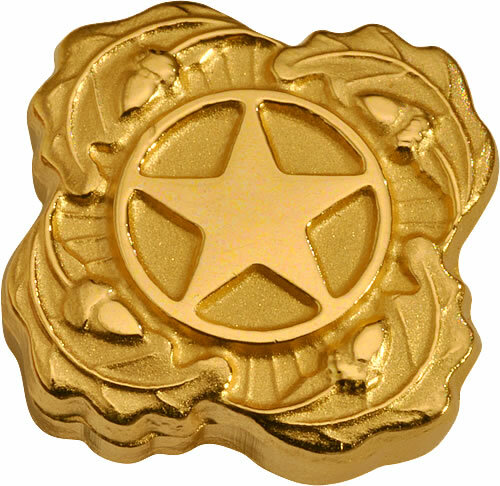 In 1947, Congress* approved the use of the Gold Star Lapel Button as a way to recognize the families of service members who lose their lives while engaged in action against an enemy of the United States. In 1977, the Army approved issue of the Lapel Button for the Next of Kin of Deceased Personnel to honor those who lose their lives while serving on active duty or while assigned in a Reserve or National Guard unit in a drill status. Issue of the button is retroactive to 29 March 1973." 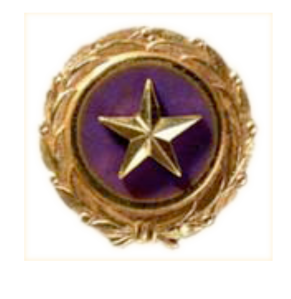 If you are an eligible family member, but did not receive the lapel button to which you are entitled, you can request one through the National Archives. You can also apply for a replacement should yours ever be lost or damaged. If you would like help applying for a new or replacement Lapel Button, contact Army Survivor Outreach Services. 1. Are there individual and/or group counseling available? Army Community Services (ACS) Family Advocacy Program (FAP) does not provide individual or group counseling. 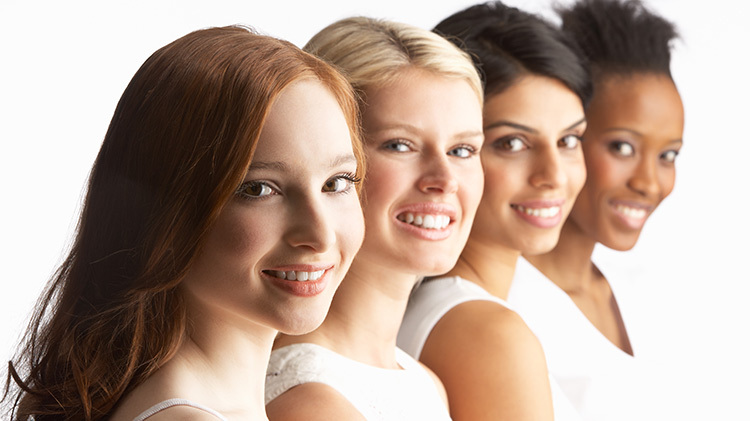 Family Advocacy Program-Clinical at Landstuhl Regional Medical Center (LRMC) provides individual and group counseling related to domestic violence and/or child abuse. ACS does offer individual counseling through the Military and Family Life Consultant (MFLC) program and can be reached at +49 (0)162-490-8625. 2. Where can I find the phone numbers? Please find our main phone number for Army Community Service (ACS) at the top of this facility page. This phone number will link you directly to our customer support representative and can provide you with direct phone numbers to the various departments within ACS. The phone numbers for the Family Advocacy Program (FAP) can be located within brochures distributed from our facility or listed within the Find-It Guide or by going online to Find-in Guide. 3. Where can I find the email address? The main Army Community Services (ACS) email address can be accessed by using the "Email Us" button located at the top of this Facility page within the "Hours of Operation" block. This will link you directly to an "Email Submission Form" and then, your email inquiry will be sent directly to the ACS customer support representative for assistance. 4. What are the signs of child abuse and neglect? The family will be connected with Landstuhl Regional Medical Center (LRMC) Family Advocacy Program-Clinical for evaluation and referred to Army Community Services (ACS) for education and support. 5. What are the signs of domestic abuse? 6. Do I have to enroll my family member in EFMP? (2) The U.S. Army Reserve (USAR) Soldiers in the USAR Active Guard Reserve (AGR) Program. Mobilized and deployed Soldiers are not eligible for enrollment in EFMP. 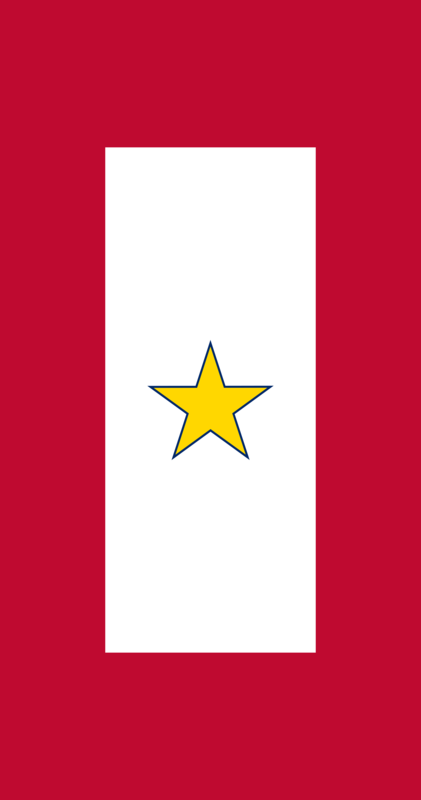 (3) The Army National Guard (ARNG) AGR personnel serving under authority of 10 USC and 32 USC. Completion of DD Form 2792 (Exceptional Family Member Medical Summary) will constitute enrollment in the EFMP for Tri-Service Medical Care (TRICARE) Extended Care Health Option (ECHO) enrollment purposes. Participants in the Exceptional Family Members Program (EFMP) are enrolled permanently in the program unless medical or special education needs warrant case closure or the Soldier is separated from the Army. Soldiers are responsible for keeping the medical and/or special education needs documentation current as EFM condition changes or at least every 3 years, whichever comes first. Department of the Army (DA) civilians will identify dependent children with special education and medically related service needs and Family members with medical needs each time they process for an assignment to a location outside the United States where Family member travel is authorized at Government expense. 7. 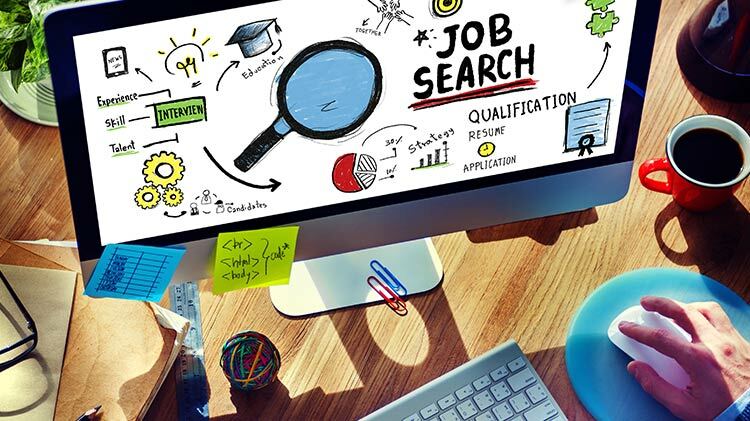 What jobs are available? Job opportunities in Europe can be found online at www.usajobs.gov, www.AAFES.com, Civilian Human Resources Agency Europe, DoDEA Europe Human Resources, or www.nafjobs.org. Contracting jobs are another option and a list of contracting companies can be obtained from the Employment Readiness Program (ERP) Manager. 8. What classes are available? Classes available through Army Community Services (ACS) include financial and budgeting classes, parenting and couples classes, relocating to a new community and host nation classes, family preparedness and readiness, and classes that cater specifically to family life in the military. For a complete list of classes and locations, please contact ACS directly or go to the ACS Facility Page located on the Family and MWR website (Kaiserslautern ACS or Baumholder ACS). 9. Are there Alcoholics Anonymous (AA) classes? 10. What kind of support programs are available? Army Community Services (ACS) offers a variety of support programs to promote Soldier and Family Fitness. Among the programs of most benefit to overall Soldier and Family Fitness are the Financial Readiness Counseling, Couples Communication, Family Communication, Stress Management, Military Resilience Training (MRT) and programs in support of Exceptional Family Members. Please contact ACS for a full list of available trainings. If you are interested in individual, one-on-one or small group sessions, please partner directly with the ACS subject matter expert for assistance pertaining special topics within the ACS mission. Please contact ACS at the number provided at the top of this page for the appropriate ACS subject matter expert point of contact. Socialize with fellow community members while celebrating your heritage!